Maryland Design Group, LLC has a solid reputation for Staging and Design and a have a proven track record of quick sales for our homeowners with our Staging services. We have been Staging and Redesigning spaces for over 17 years. MDG gains great satisfaction from helping a seller reduce the stress involved with selling their home and helping homeowners learn how to continue living their everyday lives while offering their home for sale. 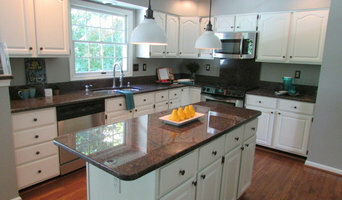 Kim also greatly enjoys the Design and Renovation Division of her company in conjunction with Creative Cabinet Solutions! We can handle all those small home improvement projects every homeowner needs to address before Listing, thereby eliminating stress and saving time. And, we can help you create the kitchen of your dreams, bringing that luxury Master Bathroom to a reality and improve the every day living spaces within your home! Best of Houzz 2018 and 2019 | Vacant and Occupied Home Staging | Market-Ready Consultations | Show-Ready Strategies | Downsizing Decisions | Room Reinventions Room by Room Staging & Design is a full-service staging and redesign firm based in Northern Virginia. As owner and lead designer, McNair Bishop places equal priority on creativity and service. 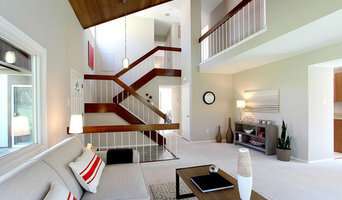 STAGING SERVICES: Our goal is to help you sell faster - for top dollar. We deliver buyers to your door by creating strong marketing photos that make your home stand out in online searches, and we "wow" them when they visit by helping them "see" your home's potential to meet their needs. 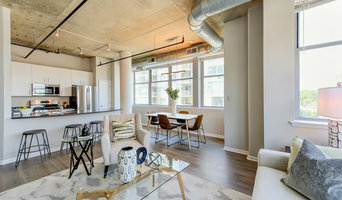 The firm maintains an extensive inventory of on-trend furniture, artwork, lighting, textiles and accessories to create custom staging solutions for both vacant and occupied properties. We offer market-ready consultations to help sellers navigate the listing process, and show-ready strategies to help make living at home while it's on the market more manageable. REDESIGN SERVICES: Love where you live but ready for some change? Considering an updated look? Need to use space differently? From new paint colors to furniture layout options to artwork and accessory placement - our Room Reinventions can hep you See What's Possible. Want to sell your home as quickly as possible without lowering your price? Metropolitan Staging has a proven track record of staging homes that are under contract in less than two weeks (or sometimes 2 days!) and sell at or over list price. If you want serious and committed buyers, call us today to schedule an appointment. CLOVER OAK CO. is a boutique consulting, staging and redesign firm located in Severna Park serving all of Maryland. Each team member is an accredited staging professional with an ASP® designation. “Our objective at CLOVER OAK CO. is to transform every space into an unforgettable experience. We want individuals to feel connected to the spaces we stage. We’ve hand-picked our inventory to include items of various styles; mid-century, farmhouse, rustic, contemporary, and modern just to name a few to give us a broad selection to pull from. Our services are varied so that we can expand to all of our client’s needs. We know that each project is unique to the person it belongs to, or for the purpose it is serving. As such, our mission at CLOVER OAK CO. is to provide comprehensive consulting, staging and redesign services with consideration and effectiveness while supplying clients with creative, comfortable and functional spaces for both living and purposeful presentation." We are a home staging and redesign business that offers to create a beautiful, functional and organized space in your home. It is important that your home looks its very best for the buyer. We offer the objective eye to create that lasting impression on the home buyer! Best of Houzz 2018 and 2019! Our team of professionals have staged hundreds of homes throughout Northern Virginia and the Greater D.C. area since 2013. We collaborate with real estate agents, builders and homeowners to add the Voila flair and warmth to homes before they are listed on the market. Our clients receive the quality of a large staging company with the individual attention of a personal decorator. We work hard to prepare a home for sale and our greatest satisfaction is seeing it go under contract quickly! Staging and design company serving central Maryland and the District of Columbia -- "As Unto The Lord"
What does a Frederick home stager do? 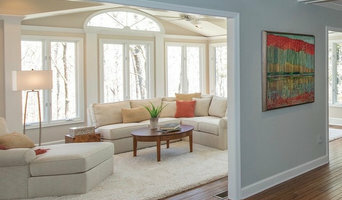 Home staging companies in Frederick, MD employ a variety of different techniques to present the home in the best light possible. The first step will likely be to make sure the home is impeccably clean, including the exterior of the house. Next the home stager will work on removing the personal touches that are unique to the current owners. Paint colors might go from dramatic reds and purples to neutral tones like beige and taupe, in order to appeal to the masses. The home will likely be cleared of family photos, risqué artwork, collections and knickknacks, so potential buyers will be able to better envision their own life in the house. In some cases furniture will be swapped out, and you might not even recognize your own house. Some Frederick home stagers tackle most of these tasks themselves, while others work with subcontractors and other professionals to get the job done. Here are some related professionals and vendors to complement the work of home stagers: Interior Designers & Decorators, Photographers, Real Estate Agents. The process of staging a home can be difficult for some homeowners, especially when being asked to change things you’ve poured your heart and soul into over the years; but try not to take anything personally, as the stager only has your best interest in mind and no intention of insulting your personal taste. Before you contact a professional home staging company in Frederick, MD, make sure to consider a few things: Are you willing to change your home and take the advice of this professional to help sell your house? Do you think your house would greatly benefit from the help of a stager? How long are you comfortable having your home on the market? A staged home is likely to sell faster and, on occasion, at a higher asking price than a non-staged home. While there is no guarantee this will always be the case, it’s often true and can make the entire selling and moving process a lot less stressful in the long run. If you are selling through a real estate agent, it’s a good idea to get their opinion on whether staging your home would be beneficial to your specific situation. Find a certified Frederick home stager on Houzz. Narrow your search in the Professionals section of the website to Frederick, MD home stagers. 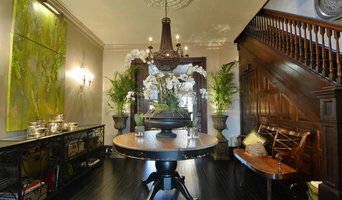 You can also look through Frederick, MD photos by style to find a room you like, then contact the professional who staged it.